This recipe emerged after a stint of tiramisu making while I was visiting my family for Christmas in 2012. We made the entire tiramisu from scratch, including the ladyfingers, and it was a bit of a mission. The adventure left us with a lot of leftover marsala wine and whipped cream, which led me to this ice cream creation. Zabaglione is an Italian custard whose core ingredients are egg yolks, sugar and a sweet wine (usually Marsala). 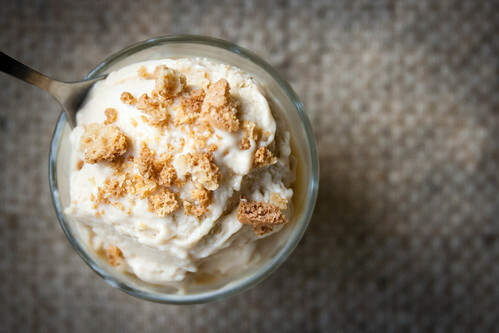 Effort-wise, this ice cream version of Zabaglione is the complete opposite of tiramisu. There are only four ingredients and you don’t need an ice cream maker to achieve a scoopable, almost fluffy ice cream (you can thank the whipping cream for that). 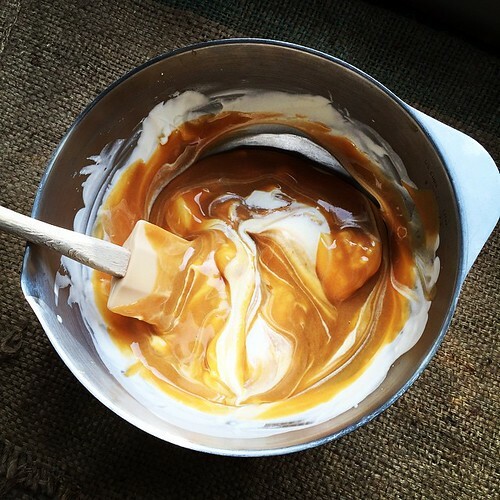 Sure, there’s some double boiler action going on and a little cream whipping, but trust me, you can do this! I made this at least twice while I was visiting home, largely because my mom was kind of obsessed with it. 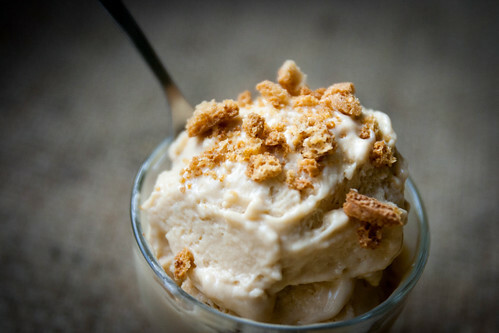 So there you have it folks, a mom-approved ice cream that’s easy to make and just as good as tiramisu (stick a lady finger in it and enjoy it with a hot espresso if you don’t believe me!). Put the egg yolks into a large bowl that will fit over a saucepan. 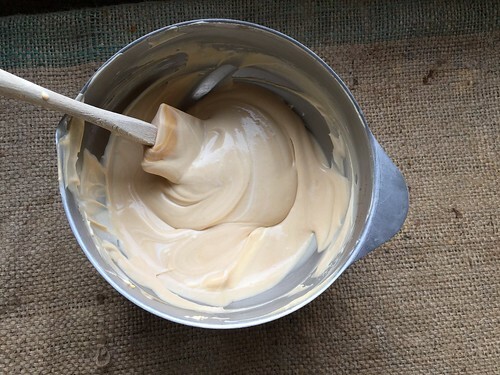 Add the sugar and whisk until the mixture is pale and thick and leaves a trail when the beaters are lifted. Whisk in the Marsala, then put the bowl over (not in) a pan of simmering water and continue whisking until the mixture has thickened and coats the back of a spoon. Remove from the heat, stand the bowl in cold water and whisk until cool (or put it in the fridge for a few hours). Whip the cream until it just holds its shape. Add to the cold zabaglione and whisk together. Pour into a container and freeze for about 1½-2 hours or until firm. 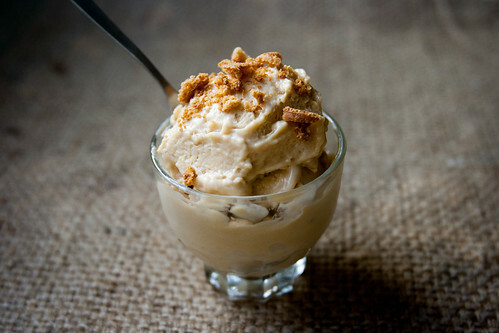 Serve in small glasses or bowls, garnished with crushed amaretti biscuits if you’d like. I am submitting this to Kavey’s Bloggers Scream for Ice Cream challenge. Trust me, you will totally scream for this one!